Price: 35,000 won for 3 games per person. The reservation deposit is 5,000 won. 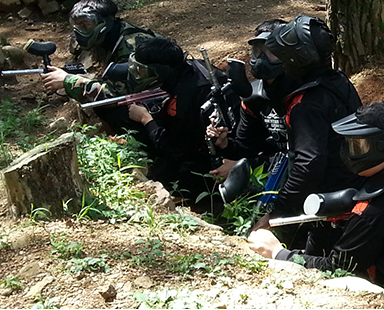 So you will pay 5,000 won to reserve the activity, and 30,000 won at the paintball location. Equipment: Dress accordingly, but all the equipment is provided. This includes the gun, uniform, and safety equipment. Other activities: You can also book rock climbing, ATV riding, bungee jumping, rafting, and the slingshot by clicking the "book now" button. *This event requires 10 people.